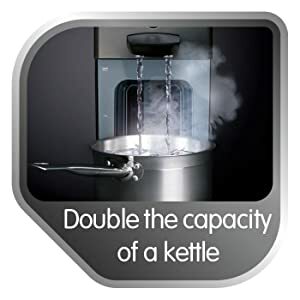 Only boil the water you need so it's ready faster, uses less energy and doesn't waste a drop of water. There's no plumbing-in required, just use straight from the box. Simplify everyday tasks with the smart and style-conscious Morphy Richards Redefine 12-cup hot water dispenser, complete with precise temperature and volume control. With volume and temperature selection technology you can be sure you have full control for your cooking and drinking needs. Whether it’s a pan full of boiling water for your pasta or multiple cups of tea/coffee, enjoy minimal wastage and maximum flexibility. With a 3 L capacity that includes a Brita filtration system and simple, intuitive controls, this concept will redefine your hot water needs with efficiency and ease. 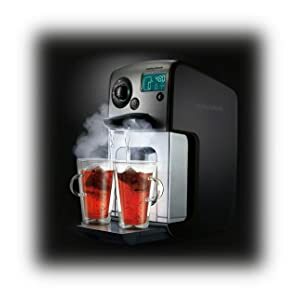 The Hot Water Dispenser delivers precisely the right amount at exactly the right temperature, whatever the task. Designed to simplify everyday tasks, be prepared to redefine your kitchen routine with ultimate precision. Convenience in the kitchen is not to be underestimated. 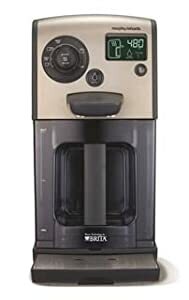 With a 3 L capacity, that includes a Brita filtration system, you will refill less often. With simple, intuitive controls, this concept will redefine your hot water needs with efficiency and ease. There’s no plumbing-in required, just use straight from the box.